Annabelle: Creation tells the story of Esther (Miranda Otto) & Samuel (Anthony LaPaglia) Mullins and their daughter Annabelle, or Bee for short. An accident claims the life of Annabelle, changing the lives of Esther and Samuel forever. The bulk of the film takes places 12 years after Annabelle’s death when Esther and Samuel turn their isolated farmhouse into an orphanage and allow 6 orphan girls and a nun, Sister Charlotte (Stephanie Sigma), to move in. The last 12 years have not been kind to Esther and Samuel – Esther has been plagued with illness and is bed ridden while Samuel is now stoic and unemotional, a stark contrast from the loving father we were introduced to at the onset of the film. The orphan girls are not even given a chance to get settled before Annabelle begins to prey on them. 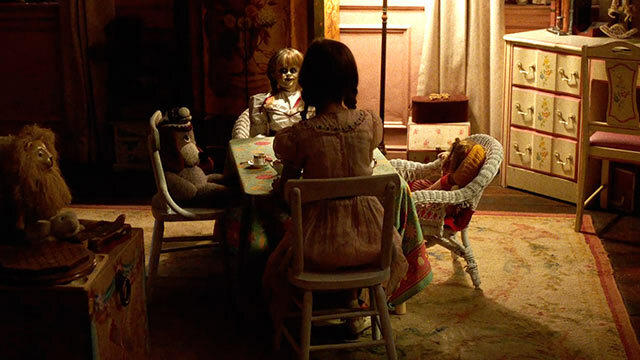 From the get-go, Annabelle’s presence is felt and seen, and only becomes more malevolent as the film progresses. 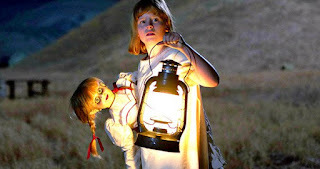 One of the orphans, Janice (Talitha Bateman), seems to be Annabelle’s primary focus. Janice has been stricken with Polio, preventing her from running and playing with the other girls. Instead Janice spends most of her time in the eerie house exploring, the thumps and creaks of her crutch and leg brace only adding to the tension. When Janice stumbles upon Annabelle’s old bedroom, Samuel stops her from entering and informs her the room is to remain locked. Janice essentially gets tricked into opening the door which causes all hell to break loose, literally. I am not one to judge someone else’s parenting, but I must say that the Mullins seem quite irresponsible – inviting 6 unsuspecting young girls to stay with me is the last thing I would do if I had an evil spirit possessing my deceased daughter’s favorite doll roaming my house. No matter where I lock the doll up, no matter how many prayers I say or crosses I make... I have to know that trouble will be on the horizon. Director David F. Sandberg does a masterful job of building suspense throughout the entire film. By controlling lighting and angles, he is able to have the audience focus exactly where he wants, making us susceptible to jumps and scares. Sandberg also mixes in long shots and mirrors to extend the darkness and help build dread. The audience at times can see danger lurking from behind, unbeknownst to the characters in the film, leaving us holding our breath for what is about to transpire. Sandberg managed to make so many childhood toys terrifying that I am not sure I will ever look at a doll house or popgun the same again. 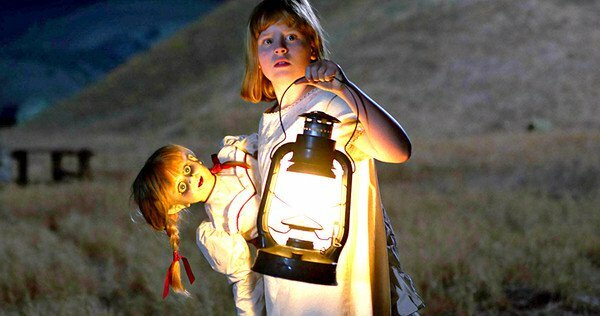 As in most horror movies, the characters on screen don’t always act rationally and this is certainly seen in Annabelle: Creation. Janice and her friends go into rooms when they shouldn’t, inviting danger and evil upon them; and in the contrary they don’t run away when they should. However, Sandberg manages to insert numerous interesting tidbits throughout the film. 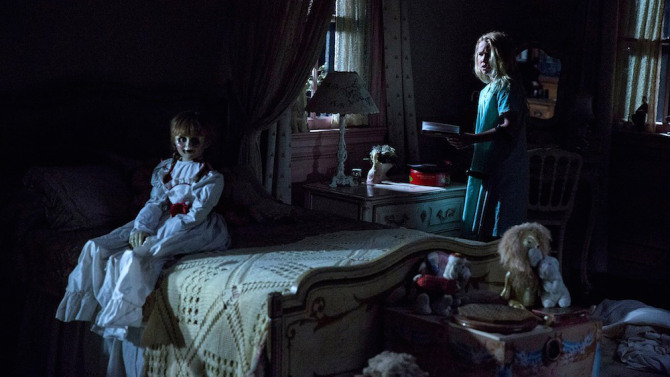 From nuggets that pay homage to the story that Annabelle is loosely based on, to ways to connect the film to the rest of the Annabelle franchise, Annabelle: Creation has more layers than a simple summer horror flick. The film could have been successful and stood on its own, but it cleverly fits into the world created by its predecessors and it feels right at home. Annabelle: Creation is creepy and unnerving from the opening scene until the end of the credits and it is a fantastic addition to the Conjuring and Annabelle universe. I would go as far to say that Annabelle: Creation may even be the tallest height marked on the door frame that all the films in the series, both past and future, will be measured against.